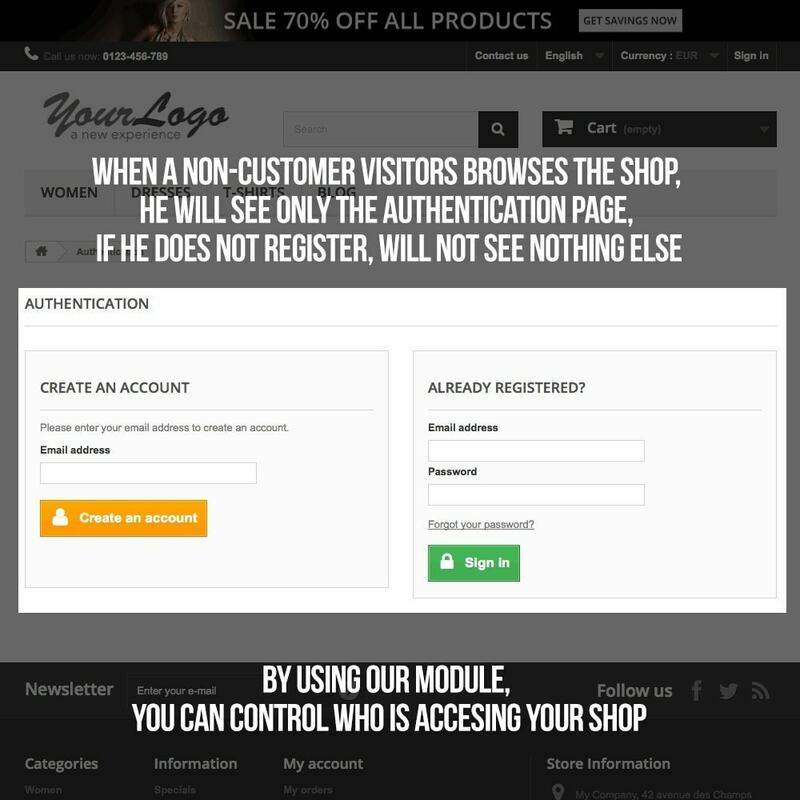 Private shop -> Only for registered users. 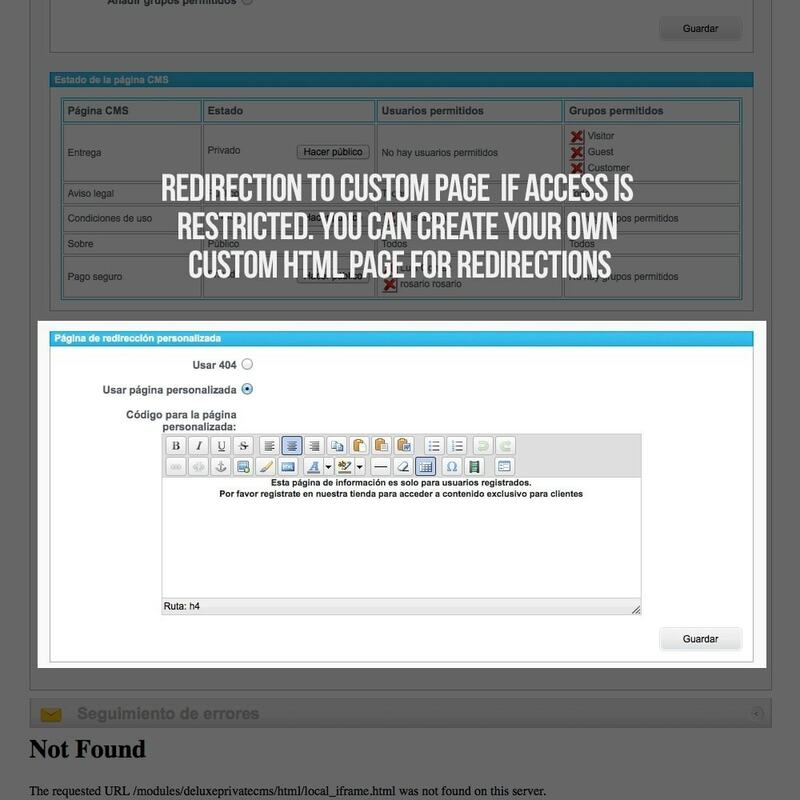 Allow cotact form -> Contact form allowed for non-registered users. Allow password reset -> Password reset allowed for non-registered users. 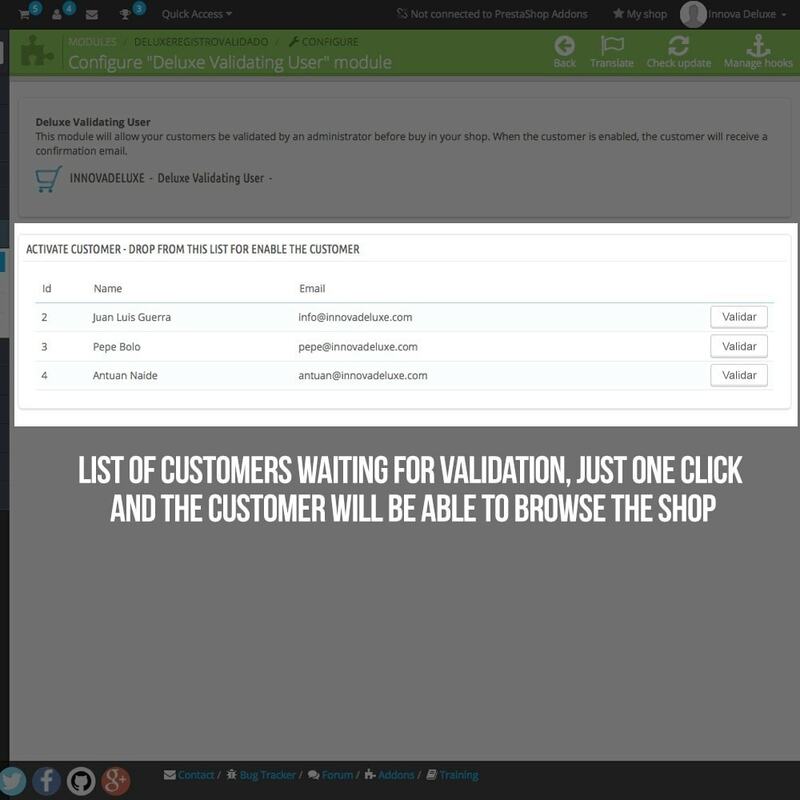 This module is the best option for those online stores who want to handle the validation of clients registration. 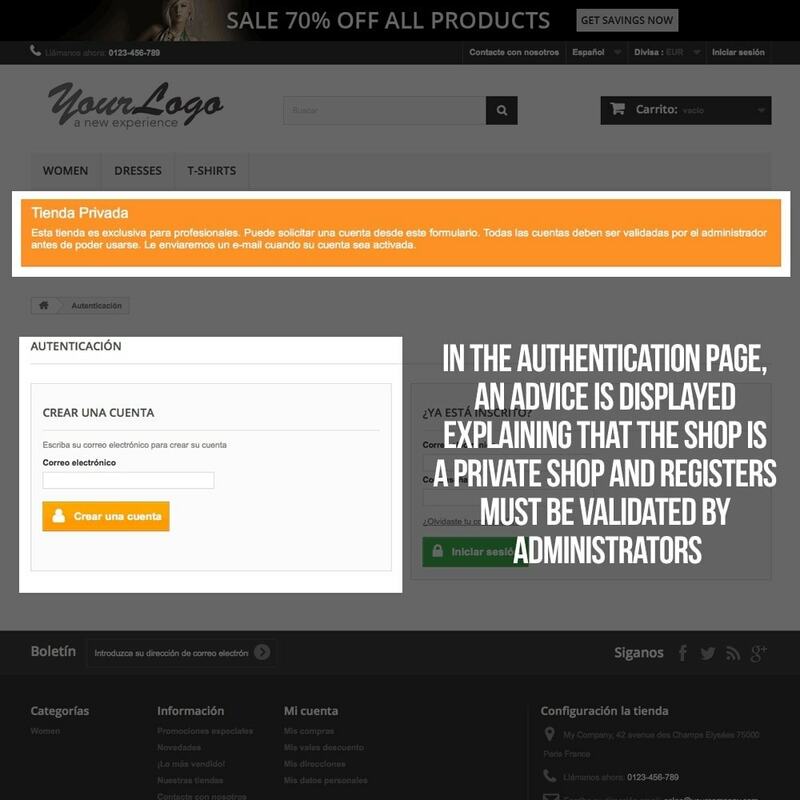 Customers won´t be active on your online store until the verification. 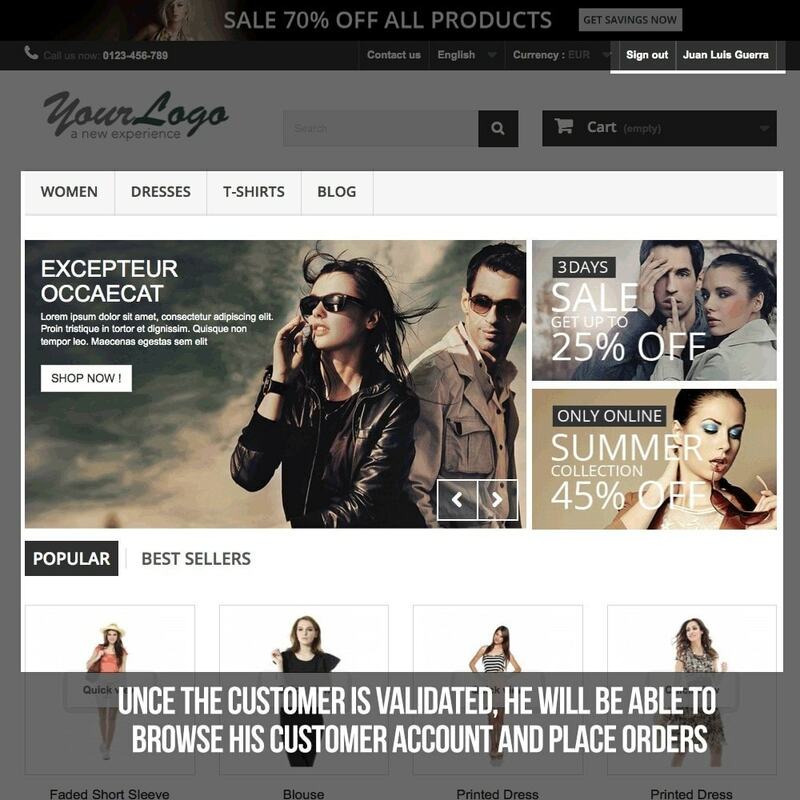 Once validated, The customer will receive a notice by email. 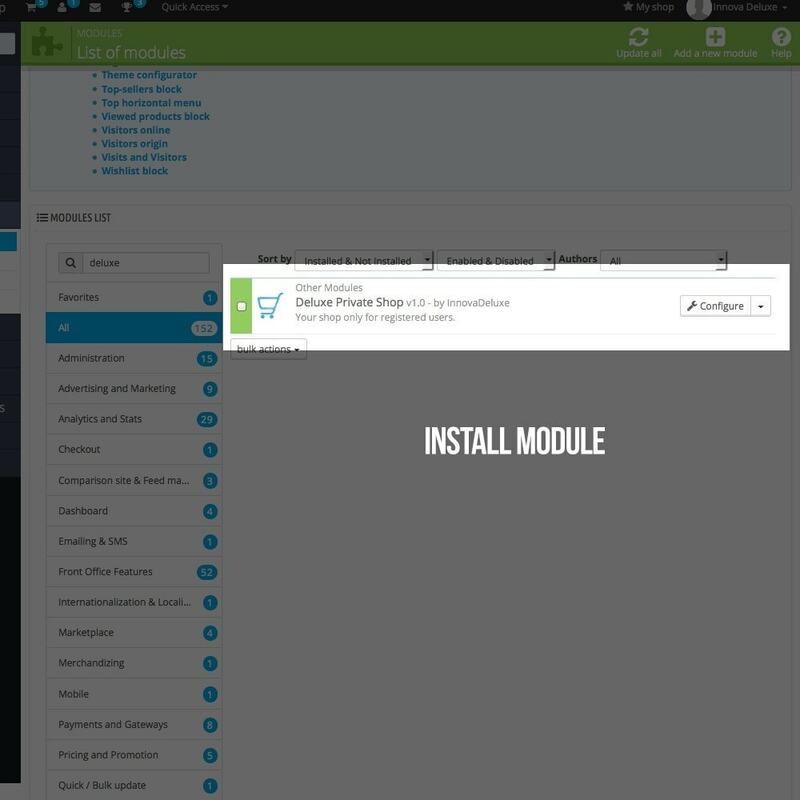 This module is a great solution to register on you online store just the users you want, to create you own B2B business private space, only for profesionals. 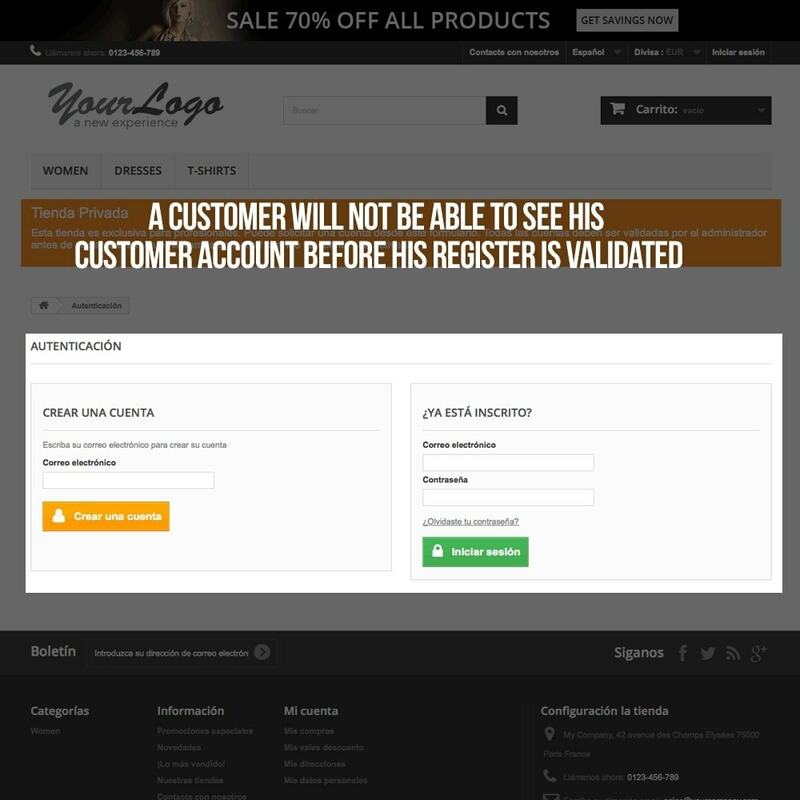 If you are interested in choosing who is going to register in your shop, this is your module, because in addition to this this module allows you to delete permanently a customer account if you don’t want him to register. 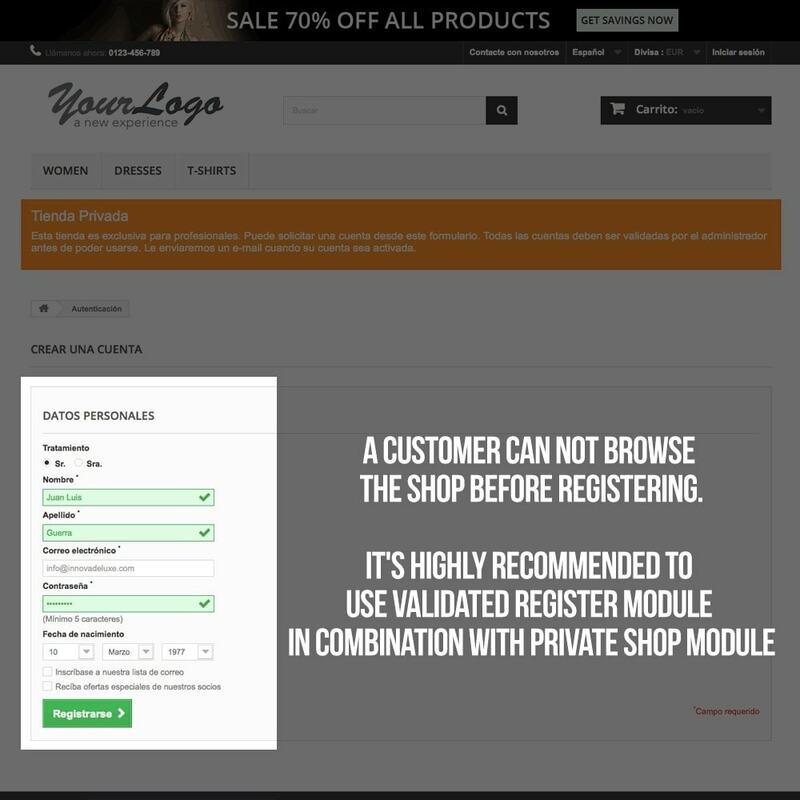 You can choose whether the store will be entirely private or may display a contact form to other potential customers.This module also complements nicely with the Deluxe Check Validated module, where you could manage which users could be registered and which not. 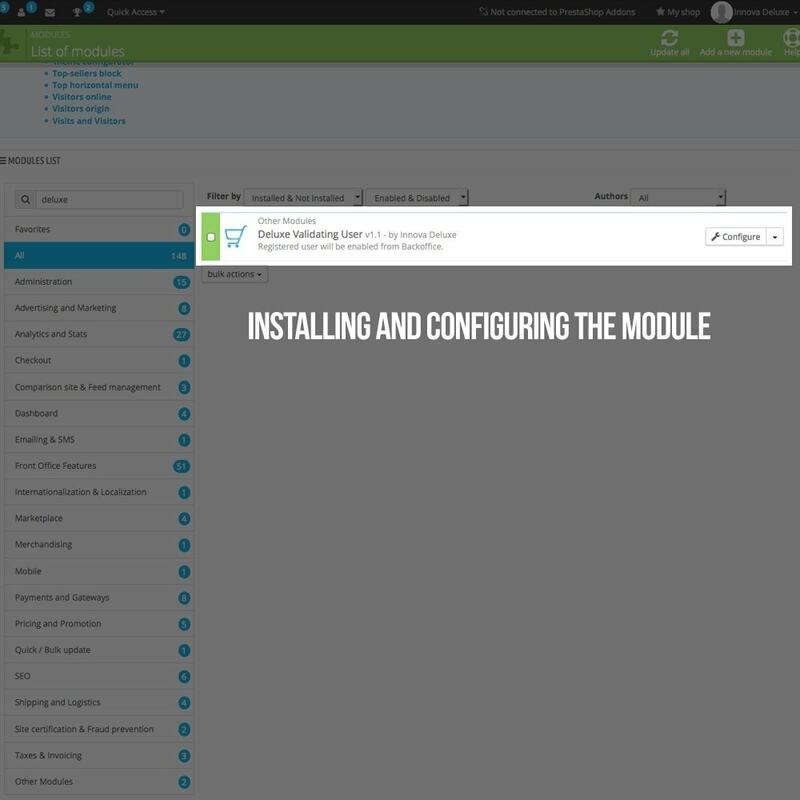 This module can be used on multistore. 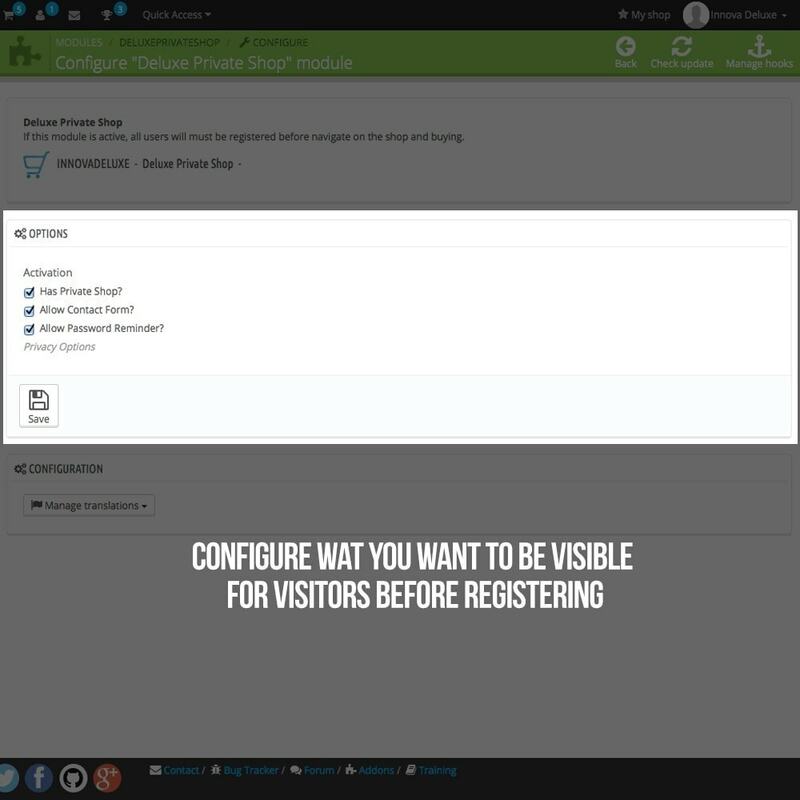 You can activate this option for any multistore's shop. 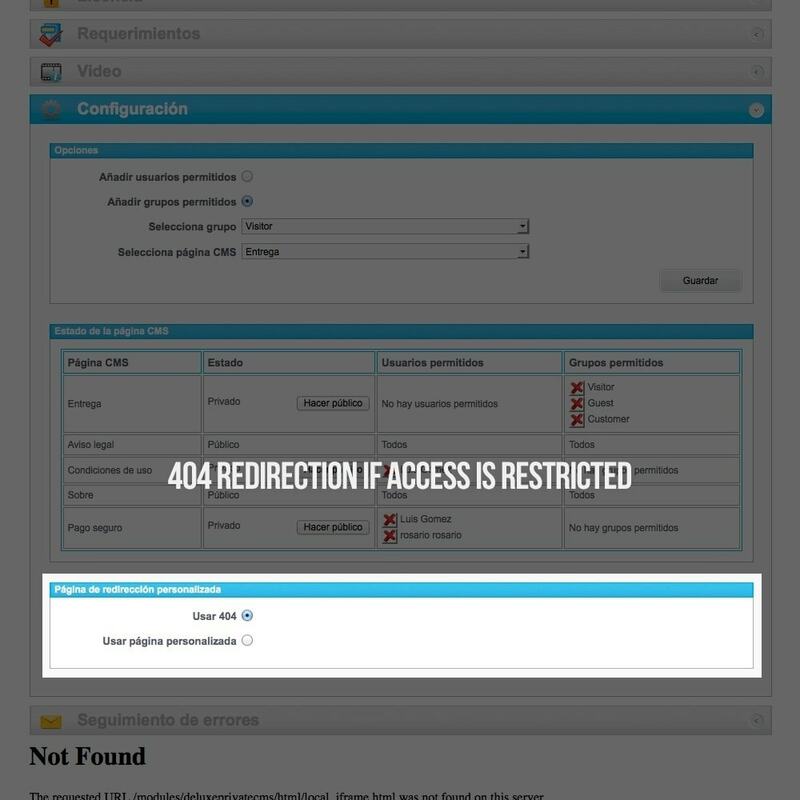 Activate user accounts form backoffice. 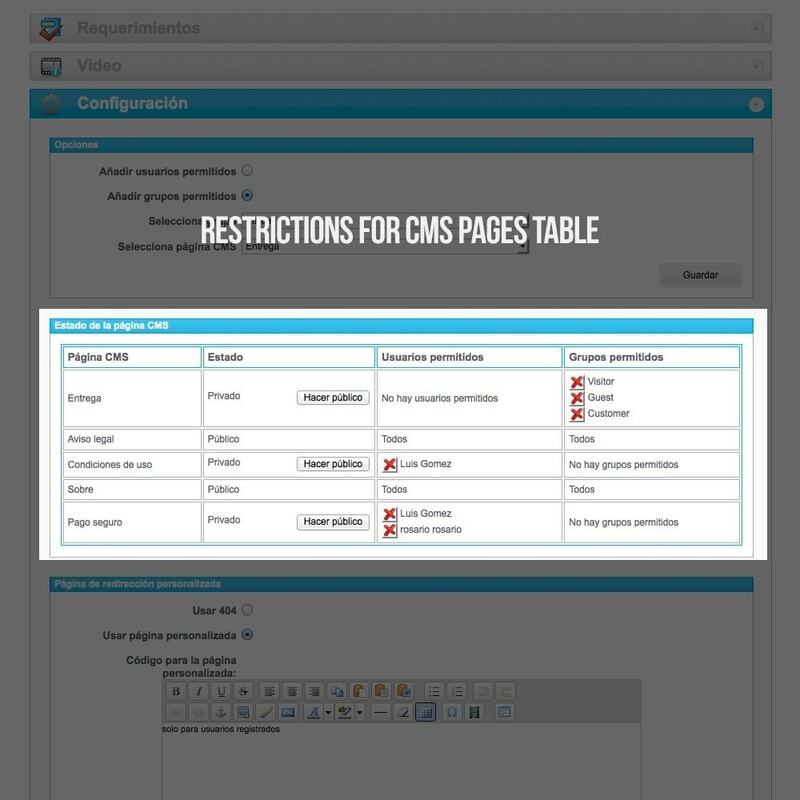 Custom content for the page showing the private register advisement. Mail alert to the customer when his account is validated. Mail alert for admins everytime a customer asks dor an account. Mix this module with our other PrestaShop privatization shopping modules, for B2B private shop. Create your business space to develop your own big network, where you can develop any professional contact and B2B negotiation with your user. Your registered users will log in to an exclusive space for various commercial purposes that will generate affinity and engagement, sending special offers and promotions to members.